Millions of students have headed back to school recently to begin their fall semester in various grade levels and schools across the nation. Back to school shopping demands the attention of parents assisting their children in getting prepared for another school year. Yet, when it comes to planning ahead for any type of life-changing event such as incapacity, a diagnosis of Alzheimer’s, or even death, we tend to shy away from and lose sight of the importance of planning ahead and the need for attention to details. 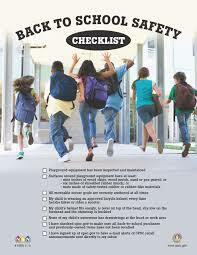 The checklists for back-to-school supplies were created and distributed by teachers and administrators to students. It is assumed that everyone will be ready “to-go” on the first day of classes. If you were lucky enough, you may have even received a convenient “print and go” checklist offered to ensure that your kids got prepared well in advance of the first bus ride - ready to tackle another school year. Back to school time signals a time where everyone is getting ready, getting prepared for the future, and getting things in order - to make it easier for everyone. On the whole, parents and their children seem to do a pretty good job planning for the start of the school year. So why don't we do a good job planning for the inevitable? We require advance preparation for some of life’s emergency situations. We fill out copious medical forms and permissions for the school year. The school knows whom to contact in case of an emergency. We name someone who will be in charge of our children if the need arises and we are unable to. Our government and our states make plans ahead to minimize the impact of a natural disaster. Weather alerts allow us time to get prepared for violent storms and hurricanes and to protect our families and our property. But what happens if you are struck by a sudden illness? Are you prepared for a life-changing event? Is there a contingency plan in place? Who will handle your affairs? How will that person access all of your important documents and personal information? Getting organized today, at the start of this school year, will give your spouse, your parents, your children and any other advisors who might need to handle your affairs "a map" in the event of an emergency. Take the time now to document your detailed directions that will be needed and wanted by those left in charge when it will matter most. Now that the kids are back in school and their checklists are complete, it’s time to turn your attention to your own checklist. LastingMatters.com.